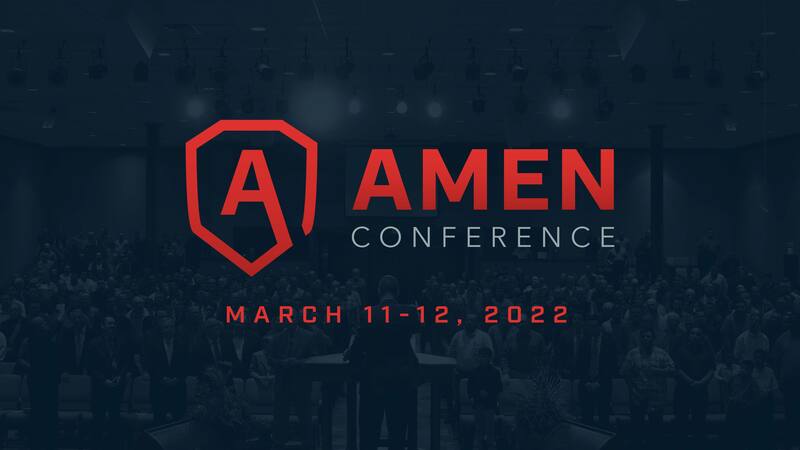 Watch this trailer for the Amen Conference. Download link available at the bottom of the page. Watch how God used the Amen Conference to change Travis's life and the course of his entire family. You can also download this video to share with your church family. Travis - Amen Testimony from John Vaught on Vimeo. Download this file to promote the event directly from your church's Facebook page or Website! Download and show this inspirational video trailer to show to your church. This is a great way to motivate the men of your church to sign up to go! 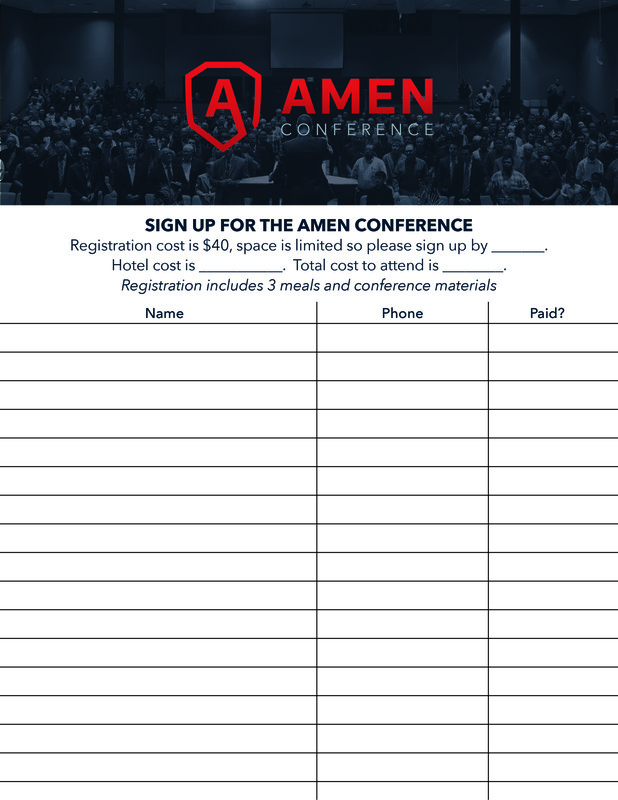 Print this to help register people at your church for the Amen Conference.